Sangley is being pushed for immediate operation as an alternate airport to NAIA international airport once the runway project is finished. Noveleta, Cavite Mayor Dino Reyes-Chua, who is also President and Co-Founder of SkyJet Airlines, said the runway development at Sangley airport is under construction and is expected to be completed by the fourth quarter this year. “Once the runway is done we can operate Sangley as an alternate airport to decongest NAIA immediately,” said Chua. Chua explained that the Sangley airport project, which runway completion is being funded by the government through the Department of Transportation, is different from the Sangley airport complex, which requires the reclamation of land, being pushed by the provincial government of Cavite. As an alternate airport, Chua said, Sangley can be operated as soon as the runway is finished hopefully in December this year. The bigger international airport project is long term and would require huge funds. 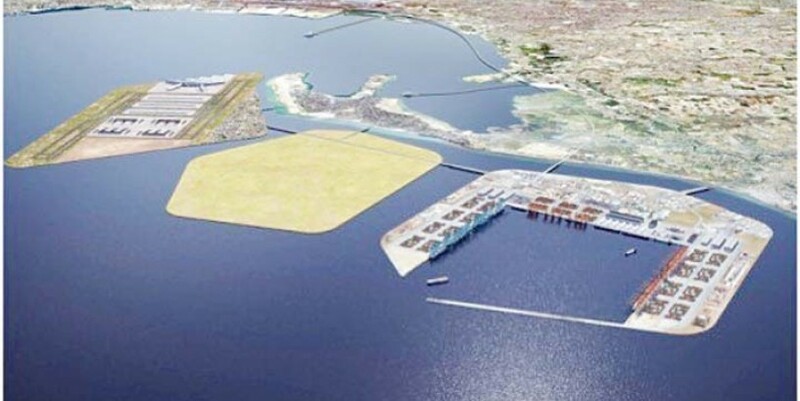 Thus, the Cavite provincial government has announced of raising P200 billion in financing for the reclamation project to transform Sangley as an international airport. While pursuing that vision, Chua said, Sangley can already function as an alternate airport. As an alternate airport to NAIA, Sangley can accommodate smaller aircraft for both domestic and short-haul international flights to decongest NAIA. There are several advantages of Sangley as an alternate to NAIA. Unlike Clark, which is five hours away from NAIA or Metro Manila, Chua stressed that Sangley is just 30-minute drive from NAIA via NAIAX, which is also connected to CAVITEX. “Sangley Airport in Cavite has all the advantages with the opening of Naiax and Skyway connecting to Cavitex, people from Makati and nearby cities in Metro Manila can now reach Cavite in 45 minutes,” he said. Travel time from Mall of Asia and Casino Hotels in Pagcor City is only 30 minutes via Cavitex. “Metro Pacific Investment Corp. has also announced that they will start the construction of Cavitex extension that will connect Kawit exit to Noveleta interchange that will connect to Tanza, the location of the newly opened sea port terminal of Razon. Cavite is the best option and is the most feasible because of the new road networks and transport connections such as CALAX (Cavite Laguna Expressway) and the LRT Extension from Baclaran to Cavite,” he pointed out. Visitors, especially those going to the Entertainment City, can easily be ferried to their hotels from Sangley. “PAL is very interested to fly in Sangley and AirAsia, too,” said Chua noting that other countries also operate city airports aside from the main international gateway. He also intends to make SkyJet operate via Sangley. “The operation of Sangley as an alternate airport to NAIA can proceed even without the reclamation,” he said adding that once the airport is opened, some flights of other airlines can fly in and out via Sangley. As mayor of Noveleta, Chua said it is also in the interest of the municipality that Sangley gets developed because it will pave for the improvement of the neighboring towns. “You cannot enter Noveleta without passing through Noveleta,” he said.